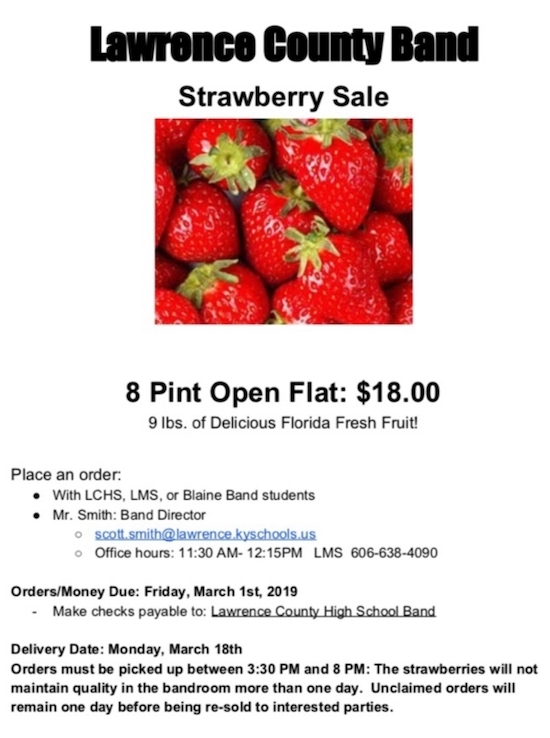 LAWRENCE COUNTY BAND FRESH STRAWBERRY SALE! Lawrence County School Band Annual Strawberry Sale! One Flat of Strawberries is $18.00 and that equals 8 pints or 9 lbs of strawberries. Great for pie, jams or just eating fresh. They’re ordered and delivered from the sunshine state, Florida. So, get yours now and remember to share and spread the word. 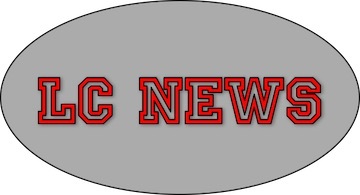 The LCHS Band is taking orders from now til March 1st and the strawberries will be delivered March 18th. The Lawrence County School Band thanks everyone for helping their program.